It is a criminal offence to drive while under the influence of alcohol. 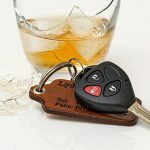 If you have been charged with drink driving, you face a number of different penalties depending on the level of alcohol alleged to have been in your system at the time of driving, and whether or not you have any previous convictions. Drink driving can lead to a fine, a good behaviour bond, a community service order, or in serious cases, even a prison sentence. In all cases, you will be disqualified from driving unless the appeal judge is persuaded to give you a ‘section 10 dismissal or conditional release order’ – which means that you are guilty but a conviction is not recorded against your name. Losing your licence, even for a relatively short period of time, can be debilitating. You may find it difficult to get to work, or drive your children to school. Unfortunately, most drink driving convictions come with a mandatory disqualification period, which means that your licence will be suspended for anything from three months to five years. This can have a serious financial impact on families and the effects can reach far into the future, even after the disqualification period has ended. If you have been charged with drink driving it is possible to appeal, and in some cases, get a conviction or a harsh sentence overturned. Here are some suggestions to give you the best possible chance of appealing a drink driving sentence successfully, so that you can move on with your life. 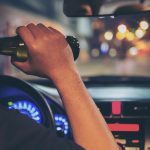 If you have been convicted of drink driving and you don’t believe that you were driving while under the influence of alcohol, or the level of alcohol found in the police tests was accurate, you can appeal to the district court (if your matter was dealt with originally in the local court). This type of appeal is known as a conviction appeal, and you will be required to submit a request through a notice of appeal within 28 days of the order or conviction being given. If it has been longer than 28 days and new evidence has come to light or there is another good reason for not lodging within 28 days, you may request leave to appeal at any time within three months of receiving the conviction. You or your defence lawyer will need to fill out a notice of appeal and file it at your local court, and state the reason for your appeal. If you don’t already have a lawyer, it’s a good idea to seek legal advice when appealing a conviction as you usually only get one chance to appeal. Make sure you give yourself the best possible chance of a positive outcome. It’s important that you obtain copies of all the documentation that will be given to the judge at the district court on your appeal. You can pass this on to your criminal defence lawyer who will examine it and help you decide the best way to present your reasons for appealing. There will usually be a transcript of the original hearing, along with any evidence or witness statements that were presented at the time. If you want to supply additional evidence that wasn’t originally used, you will need to file documents at court to explain why the evidence wasn’t included in the first hearing. At the appeal, the judge will review all the evidence which was supplied at the original hearing, along with any other evidence that your are allowed to produce. They will listen to the legal arguments from your lawyer and the prosecution, and make a decision whether to uphold the conviction or overturn it and find you not guilty. This decision is usually final unless the judge makes a legal error. If you have been found guilty of a drink driving offence and believe that the sentence you were given was too harsh, you can lodge a severity appeal. In a severity appeal you are admitting that you did commit the offence that you were convicted of, but you ask the judge for a less severe sentence. The procedure for requesting a severity appeal is the same as for a conviction appeal. You will have 28 days to lodge a notice of appeal with the local court, and once that has been lodged, you will be given a date for your hearing at the district court. Severity appeals differ from conviction appeals in that you are allowed to submit new evidence without having to ask permission first. Your criminal defence lawyer will advise you on the most appropriate evidence, but if there are any mitigating circumstances, such as health factors, personal issues or mental health issues which contributed to the original offence, you will need to include documentation supporting this. If you have undergone any steps to deal with underlying issues such as drug or alcohol rehabilitation, counselling or taking a traffic course, make sure this is included as well. Character references can help support you if drink driving is out of character for you. 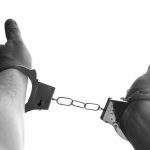 At a severity appeal, you or your lawyer will explain the reasons that you feel the sentence was too harsh, and the prosecution will have the chance to put forward their arguments. Once the judge has heard both sides, they will make a decision to either uphold the original sentence, or impose a less severe sentence. They can’t give you a harsher sentence without first issuing a warning. Your lawyer will know if the judge is doing this, and will withdraw your application for an appeal immediately. If you have been disqualified from driving, make sure you find out whether or not you will be allowed to drive while you are waiting for your appeal. If you are in any doubt, don’t drive, as driving while disqualified comes with further penalties. 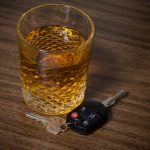 It is possible to appeal a drink driving conviction or overly harsh sentence and win – if you aren’t sure whether you should appeal or not, speak to a lawyer who is experienced in appealing drink driving cases for further advice. A good appeal lawyer may be able to get your disqualification period and your penalty reduced, or may even get your licence back for you.